Club Mission has cemented itself as one of the most popular house destinations since the early 2000's. With residences from Tom Zanetti and K.O Kane to student nights, the club is versatile in more ways than one. They even offer a fitness class on Saturday afternoons, imagine that! 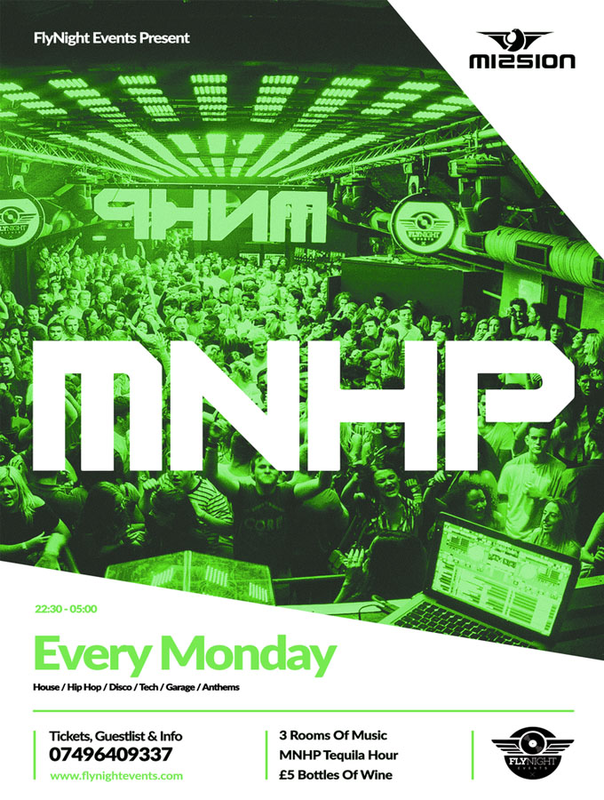 The Monday Night House Project delivers a unique and magical experience every Monday at the iconic Club Mission Leeds! MNHP’s forward thinking approach pushes the boundaries in every aspect of partying, paving the way to create something very special. Combining an energetic atmosphere with Leeds’ finest DJs, and great drink deals, Mondays at Mission are not to be missed! Thursday nights at Mission are insane for one reason and that is P.A.R.T.Y! Expect an unprecedented P.A.R.T.Y. atmosphere where anything goes. A night full of wonders and surprises all in its glitter and glory. FREAK™ delivers Leeds Friday night fix of cutting-edge music from an elite team of exclusive residents alongside weekly special guests supplying 2 rooms and 1 terrace. With £2.50 drinks, £5 entry before midnight and the city’s best venue at your disposal, this is Leeds’ ultimate weekly Friday night out. INSOMNIA™ deliver a consistent, quality weekly Saturday night in Leeds clubbing circuit. Bringing world-renowned headline acts and fresh emerging talent alongside an impeccable platform of residents. Draw dropping production and a heavy sound system fills 3 rooms, offering something for all purveyors of house music at the North’s clubbing mecca Mission, every Saturday 11pm-4am.